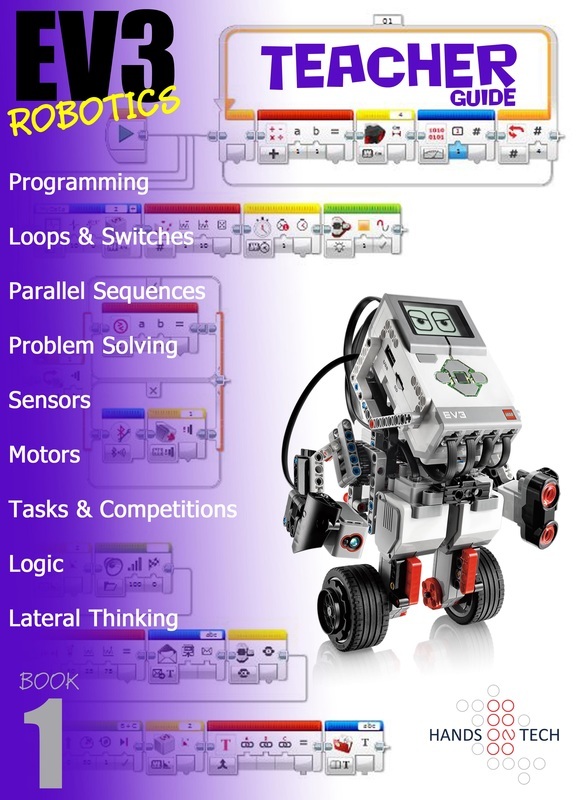 In order to develop 21st Century Skills, which are necessary to flourish in our technology-savvy world and compete for jobs in many sectors, Hands on Tech has developed curricula, and accompanying teacher guides, for LEGO Education's MINDSTORMS NXT and EV3 robotics products. 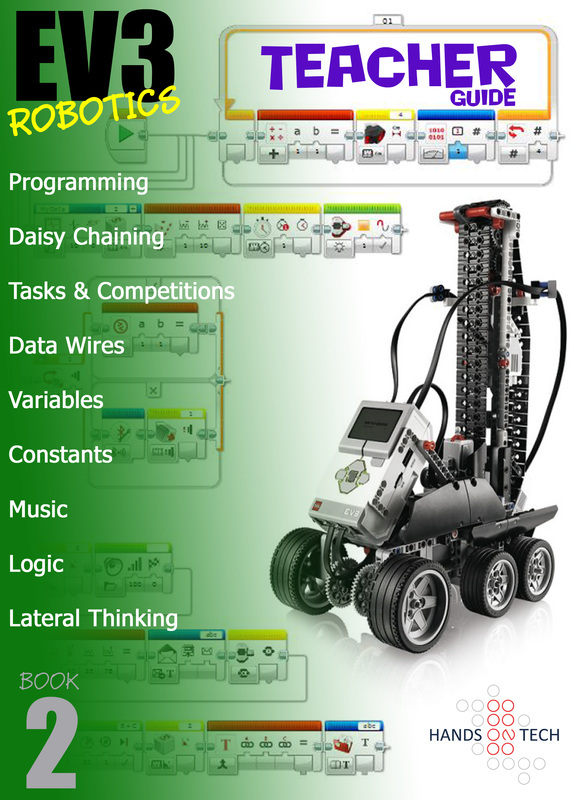 NXT was the second generation on LEGO Education's Robotics products; succeeding the RCX intelligent brick. EV3 is the third, and current generation and includes advanced processing, more output ports and supports all of the NXT sensors, as well as adding support for newer sensors. Appopriate for: Children aged 10+. Note: It is recommended that children have experience with the 9686 Simple and Powered Machines set, or other mechanics-related experience, to maximise the benefit of Robotics. 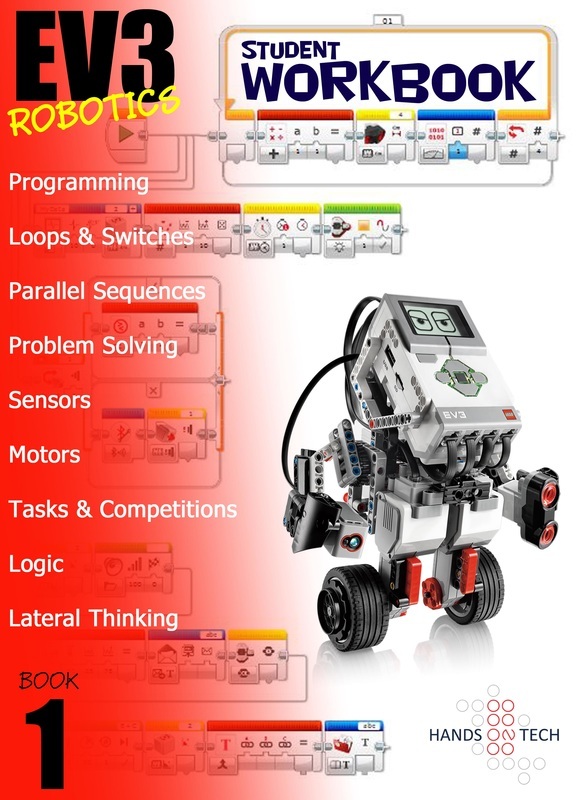 Maximise the fun, learning and potential of LEGO Education's EV3 MINDSTORMS set with Hands on Tech's curriculum. The curriculum was designed with a 32-week long school year in mind, with 2 hours per week of focused Robotics being completed. There are 50 separate activities, and we have found that the amount of content can easily go over what can be covered in one year. Learn about the various sensors that the EV3 system supports and how they can be used in different configurations and how to build, and then program, robots using the LABVIEW-based graphical programming console. Use the NXT Student Workbook and Teacher Guide to help students discover all the LEGO Education MINDSTORMS NXT has to offer!